Send your customers home with a smile! 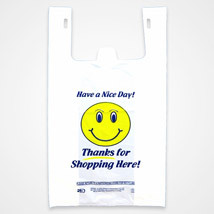 Smiley Thank You t-shirt bags are a sturdy 13 micron bag that are perfect for a wide variety of products. 100% recyclable. 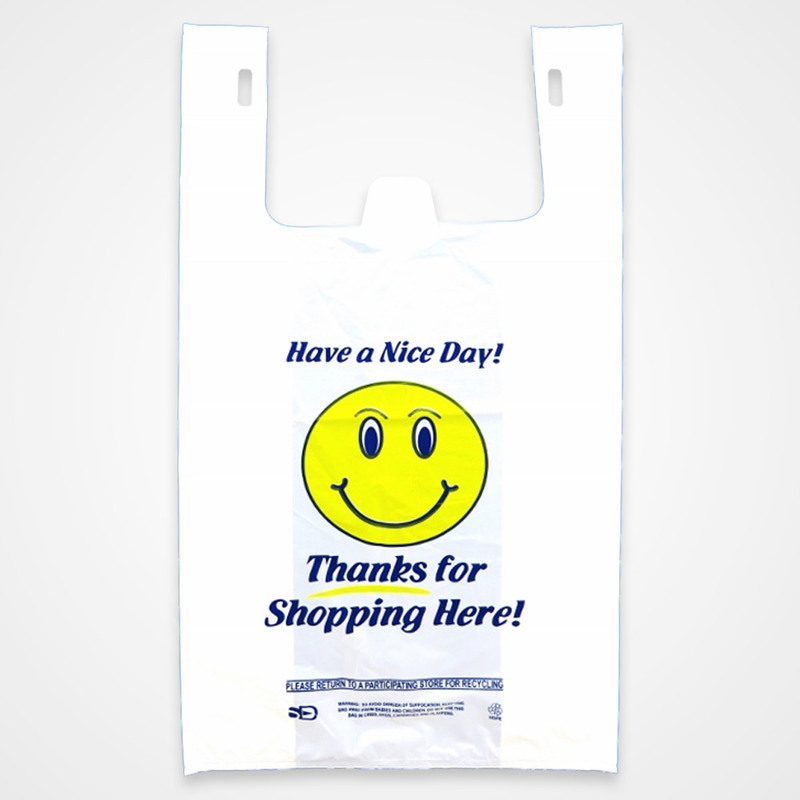 Combine 4 cartons of bags and receive the 4 carton price.